The photo contest winners are at the end of this post. But first, I have two special things for you: And now you get to hear from my amazing husband. He loves being a dad and I love watching him be a dad. His words are insightful and his perspective is inspiring. Enjoy! When you become a dad it changes your life. It makes you completely safe and trustworthy—just look at the newborn sleeping on their dad's chest. It gives you superpowers—just ask the toddler who is amazed at their dad's BBQ lighter, TV remote, model rocket, or Diet Coke and Mentos. It makes you instantly know about everything—just ask the two-year-old who is full of curiosity, and constanty asking their dad "Why?" or "What's that?". It makes you the coolest guy ever—just ask the little boy who wants to do everything that his dad does, from mowing the lawn, to building something, to working on his computer, to driving a boat, to playing the guitar, to shaving. You're instantly the best, the coolest, the strongest, the smartest, the most in-demand. It feels pretty good. Although I haven't experienced it personally, I've heard that there comes a time when you're not the coolest guy ever, and you don't know everything (in fact, you know less than your teenager). But I've also heard that usually kids come around, and begin to appreciate even more. Fashion comes back around as well, and they start to see you as pretty cool again—just ask all those 70's/80's dads who have photos of themselves with handlebar mustaches or burly beards, slim jeans, v-necks, and aviators. From the moment you look that baby in the eyes, you realize how you've suddenly changed. Dads want to give their lives to their kids. Sometimes it hurts, sometimes it's easy. Most of the time dads give their lives for their kids in pieces, over time. Some dads don't get as much time as others. Being a dad is the most amazing thing ever. Having the privilege of caring for a life is at once overwhelming and empowering. Kids are a source of joy and a million silly and hilarious things. It's nice being needed by them, and fulfilling when they express love to you, whether by words, hugs, or just those looks of admiration. I think that dads wish they could keep their superpowers forever. But it kind of wears off. The real superpower is just loving your kids. Protecting your girls. Teaching your boys how to be men. Hanging in there with your wacky teenager, not just waiting it out, but connecting with them in a real way. And when you do this, your kids hold on to those pices of your life that you've given them. Not your regrets. Dads are heros to their families when they give them those pieces of their lives. And we need to hear that we are heros—not just today, but pretty often. It helps us leave our regrets behind and give our families more and bigger pieces. I'm thankful for the time I've had with my boys, and thankful for my own dad (even if he never had a handlebar mustache). I'm thankful that I have a heavenly Father, a source of strength that's greater than my own. Happy Father's Day, let's all grow burly beards! And the Winners are, "Coming In For A Landing" and "Proudest Dad"! Congratulations, your Lee Koch Album is in the mail. If you didn't win, you can always buy Lee's album on iTunes. Thank you to everyone who sent photos in! I’m so glad you are here! Please feel free to share my writing and my book. This is a place where I don’t hold back, but am transparent with all the joys and hardships of life. I've written these things because I know I’m not alone. My story isn’t just for me, it’s for you too. 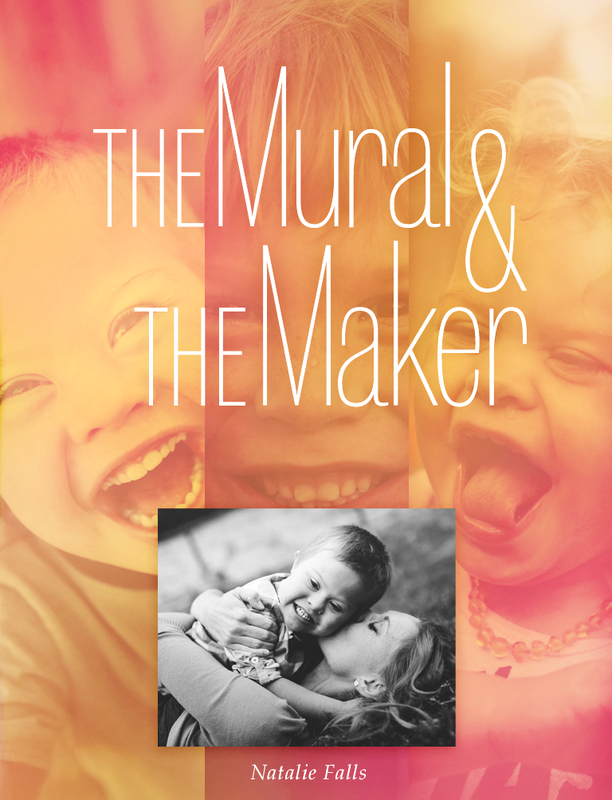 My book The Mural & The Maker is now available as a free ebook. Read it now!